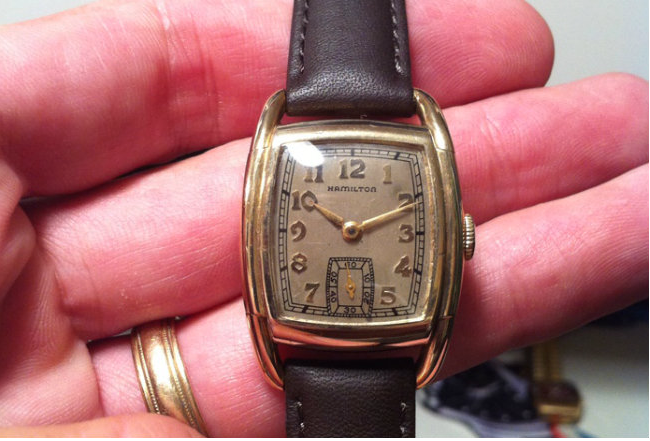 In the late 1930's Hamilton introduced several models with tubular lugs. One of the largest of them was the Dodson and it was produced from 1938 to 1948. 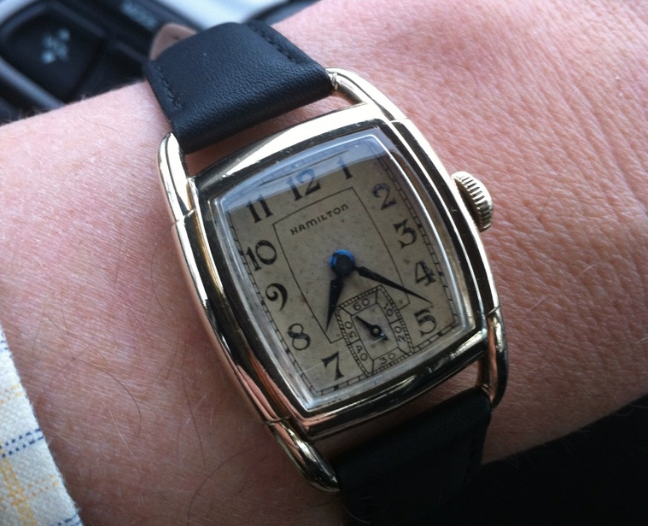 Featuring Hamilton's popular 6/0 sized, 17 jewel 987A movement, the Dodson came in both Applied Gold Numeral and Black Enamel dialed varieties. 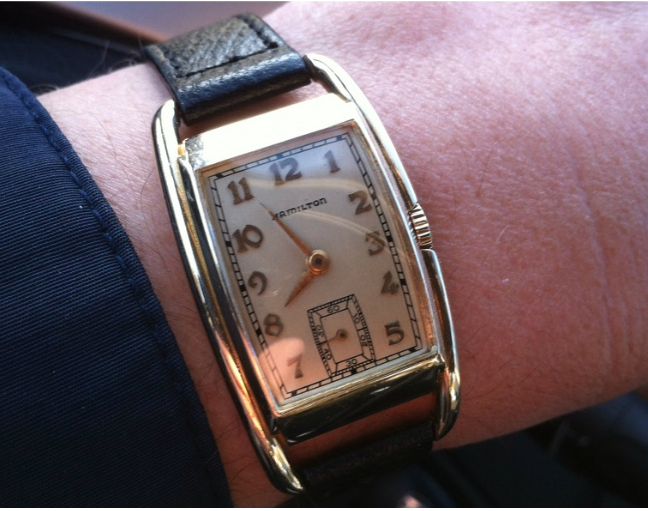 It's not uncommon to come across a Dodson (or other model from this era) with a gold filled expansion bracelet but in my opinion these watches look best with a nice leather strap. The Dodson is very similar to the slightly narrower Sutton, from the same period. Both models are prone to wear through on the bezels near the corners of the crystal but good examples of each are relatively easy to find. And here is a Sutton for comparison, it uses a 14/0 sized 980 movement so it's considerably less wide. Thanks,That helped a great deal. Where is a good place for quality parts like the crystal? Any of the ebay sellers would be happy to help you.